Participants at the just-ended three-day national training workshop on Gender and Elections in Lomé, Togo have committed to unite and mobilise women for peaceful elections in the country. 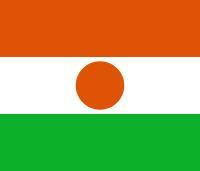 Togo holds presidential elections on 25th April 2015. In addition, the Togolese women pledged to assist in raising awareness and educating women about the importance of their participation in peace processes. 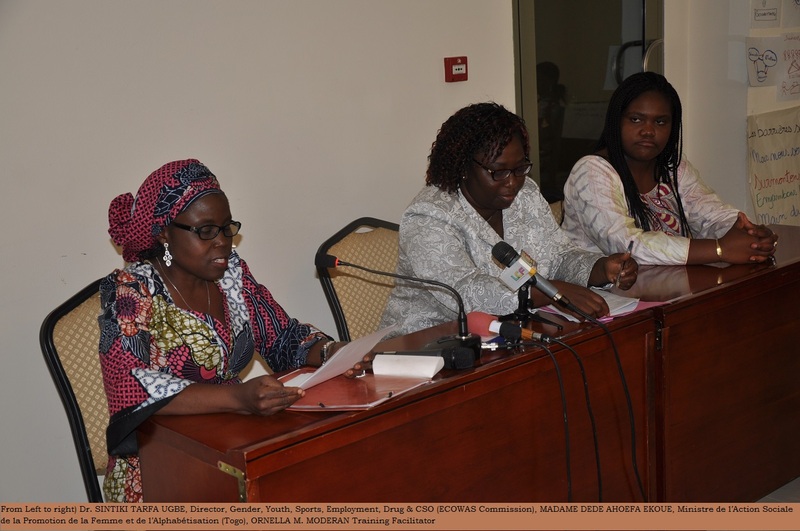 In her speech at the closing ceremony on 10th April, 2015, Togo’s Minister of Women Affairs and Social Development, Mrs. Dédé Ahoefa Ekoue, expressed gratitude to the ECOWAS Commission for organizing the training, and the Danish International Development Agency (DANIDA) for its support. The ECOWAS Commissioner, Social Affairs and Gender, Dr. Fatimata Dia Sow represented by the Director of Gender, Dr. Sintiki Tarfa Ugbe, also commended participants for the quality of their contributions at the workshop, which was facilitated by the Building Resources in Democracy, Governance and Elections (BRIDGE) programme. 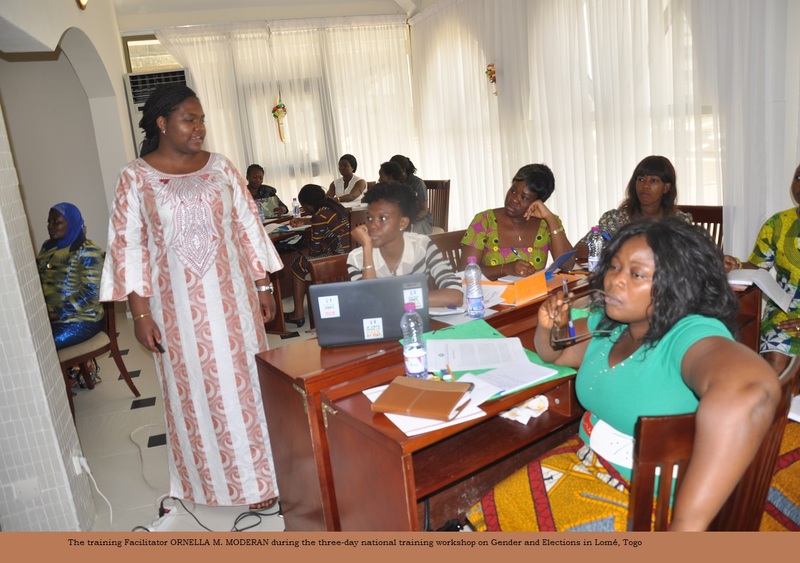 The Commissioner further urged the participants to share the knowledge they acquired at the training, which was organised by the ECOWAS Commission in collaboration with the Togo Ministry of Women Affairs and Social Development. The training addressed deficiencies in advocacy capacities of women as a constituent and also incorporated elements of political leadership and dialogue towards promoting gender equality in national political participation and representation.